There is no doubt that each of the countries we have visited that make up the area once known as Indo-China has had a gruesome recent past. 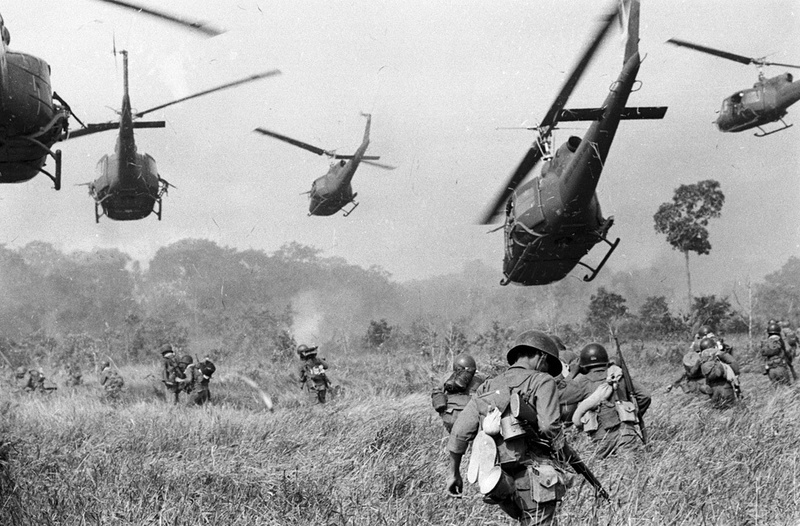 Those of us old enough to remember participating in student anti-Vietnam war demonstrations will need no reminder. But some of the worst atrocities happened after the Americans left. 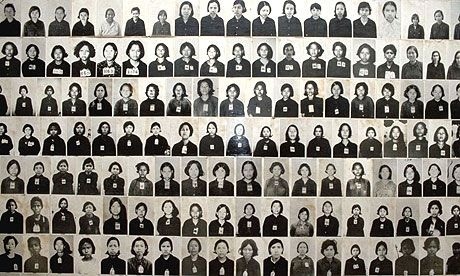 Cambodia entered into year zero from 1976 to 1979 under Pol Pot and the Khmer rouge. The most extreme form of social engineering of modern times, to be compared only with the Armenian genocide and the Holocaust, led to the death of over two million people. Deforestation is a real problem in Laos with loss of natural habitat for such animals as tigers and rhinos. Child exploitation and prostitution is an ever present disgrace and we all know about the golden triangle which covers the area where these countries meet. Perhaps the worst hazard is the over-exploitation of the tourist industry – not a bad idea if equably managed but clearly prone to uneven wealth distribution and even more environmental degradation if left to itself. Eco-tourist projects are increasing and poverty is decreasing. Certainly, Laos doesn’t feel like it was the poorest Asian country just twenty years ago and Vietnam shows no economic slow-down like China has recently displayed. The big problem is that super powers like nearby China (who wants to built a high speed rail link to the area) and even Russia (who was holding a trade fair in the same hotel we stayed at in Hanoi) have got their sights set on vast investments in the last areas of Asia to retain something of the charming seduction of the east. We’ve visited craft centres for young people disabled by preventable diseases or the aftermath of wars. We’ve seen a prosperity in some areas which is astounding but we’ve also read in today’s Hanoi times that urban pollution is at its highest and we’ve invested in mouth masks. So what else can I add? Enjoy this magical part of the world while you can and while it can too! We then climbed up to the top of Phu Si Hill. Fortunately, the morning was cool and we were able to admire the extensive views of the countryside around from the quaint temple of That Chomsi. More amazing sights awaited us when we drove into the the beautiful hilly country around Luang Prabang and reached what must be one of the most spectacular waterfalls I have ever seen. In fact, the Kuang Si are a series of waterfalls culminating into a gigantic plunge of several hundred feet. We had a picnic by the gushing waters and then cooled off in the near turquoise waters of one of the pools. 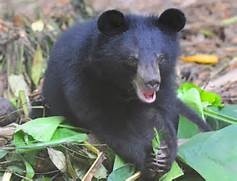 Nearby are some native bears saved from poachers. Just before arriving at our rustic hotel we stopped at an elephant camp where we were made welcome by the pachiderms who were after the sugar cane we offered them. Sadly there are less than a thousand elephants left in Laos but at least they are safe in places like this. Of the three indo chinese nations we have visited I have no doubt that the jewel in the crown is Laos. Let us hope that old Asia willl continue to live on here for some time to come. 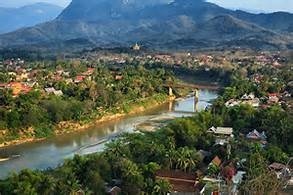 The fact that Luang Prabang is celebrating its twentieth anniversary as a world heritage site is a good sign. Last night we left Cambodia taking the plane for Luang Prabang in Northern Laos, The temperature on arrival was pleasantly cool at just around 25 degrees and was welcome after the torrid heat of Siem Reap. Our hotel continued the high standard of accommodation we have now become accustomed to. Just outside the main town we woke up to idyllic views of paddy fields farmed by lusciously forested mountains. If there is a place in south east asia I’d willingly spend the rest of my life in then its is here. The fading french colonial villas, the stunning location by the Mekong river, the beautiful temples and, above all, the personability of its inhabitants makes this surely the nearest we’re likely to get to shangrila on our indo chinese trip. The great river is here contained in a wide gorge and filled with rocky outcrops and often fierce currents. Fortunately our boatman knew every cranny of the waterway and guided us to some sacred caves known as Pak Ou. Buddhist monks were climbing up the incredibly steep staircase to the higher of the two main caves which are filled with hundreds of statues of the Buddha. The views from the top were awesome to say the very least. We crossed the river to have a meal before returning to Luang Prabang where a beautiful welcoming ceremony with offerings and apsara dancers awaited us. It was a fitting ending to a long and wonderful day which had begun at 5.30 am when we attended to the monks making their early morning begging call for rice and vegetables from the devout inhabitants of this truly seductive town.